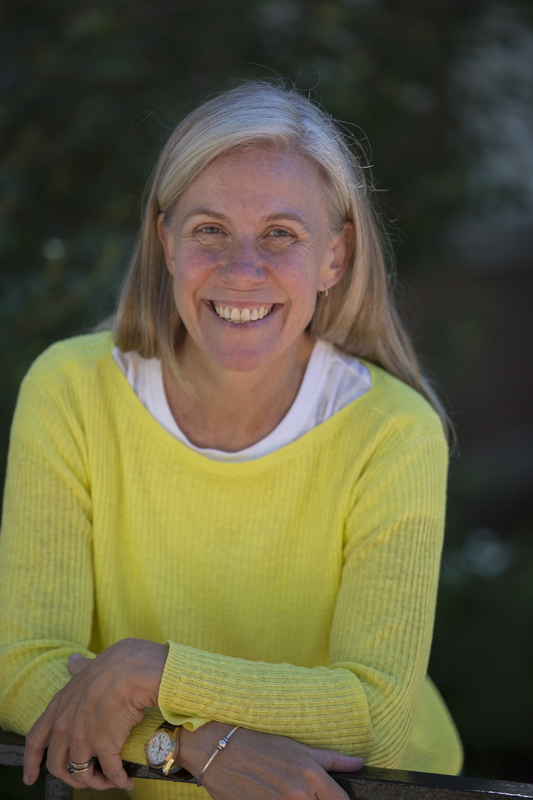 President Clayton Rose announced today, April 8, 2019, that Janet Lohmann will be promoted from dean of students to dean for student affairs, starting July 1. She will succeed Tim Foster, who will step down at the end of the current academic year. Lohmann was selected after Bowdoin conducted a comprehensive national search. "The arc of Janet’s career—in student affairs, as a member of the faculty, and as a leader who has brought passion, judgment, and great insight to the key issues affecting students and to changing our College for the better over a number of years—makes her the ideal choice for this critical position," Rose said. 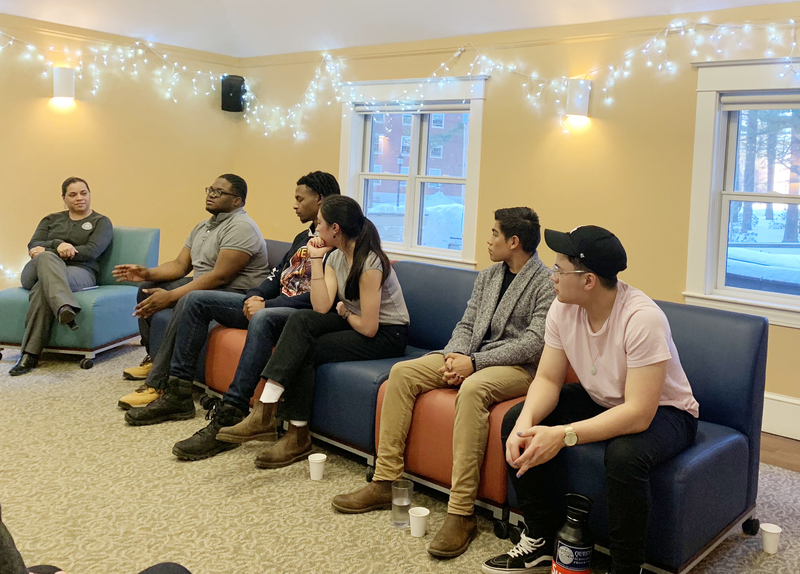 Bowdoin's dean for student affairs leads the Division of Student Affairs in guiding, supporting, and challenging students so that they may realize their full academic and personal potential at Bowdoin and beyond. The division comprises advising, athletics, career planning, health and wellness, and student and residential life. Lohmann, who was a tenured faculty member at Carbini College in Pennsylvania and a sociology professor at Bowdoin for four years before stepping into the College's administration, said she was excited to usher in deeper opportunities for collaboration between student affairs and academic affairs. "I am eager to see how I can lead the division of student affairs to best enhance the experience of students, in partnership with academic affairs," she said. "The Knowledge, Skills, and Creative Dispositions Report offers an exciting time to see how we can best leverage the work we do both in and out of the classroom." The report outlines specific educational aspirations Bowdoin has identified as critical for today's liberal arts student. Lohmann first joined Bowdoin in 2003 as visiting assistant professor of sociology, teaching an introduction to sociology and courses in research methods, criminology, and race and ethnic relations. She moved into student affairs in 2007, working with students on academic, social, and personal growth while also serving as director of accommodations for students with disabilities. A year later, she was named associate dean of student affairs and dean of first-year students and then, during the 2015-2016 academic year, she served as interim senior associate dean of student affairs. Lohmann left the College in the summer of 2016 to become dean of students at Kenyon College, but returned a year later when Bowdoin asked her to serve in the newly created position of dean of students. The first in her family to attend college, Lohmann was a driving force behind creating and building Bowdoin Advising in Support of Academic Excellence (BASE), the College's program to enhance the academic experience of students (including first-generation students) through more structured, integrated, and comprehensive academic advising. She was also instrumental in standing up the Collaboration for Access and Successful College Outcomes (CASCO) conference, designed to increase access and success for talented low-income students, and in the creation of THRIVE, our college-wide initiative to transform and improve the experience for low-income students, students of color, and first-generation college students. 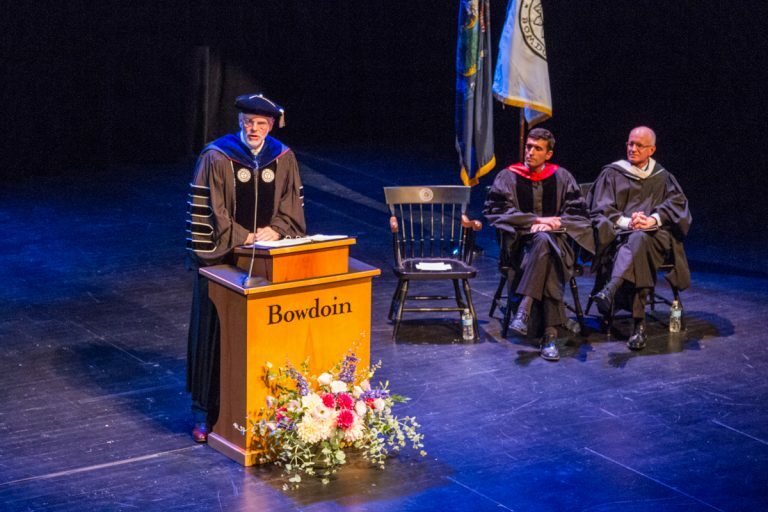 Lohmann has enhanced Bowdoin in a number of big and small ways. One of these is Gratitude Thursdays, when she invites students to gather each Thursday afternoon in the Smith Union and write letters of appreciation to important people in their lives. Lohmann was a member of the US Olympic Development Field Hockey Team in high school and then played field hockey at Stanford University before she suffered a serious injury. She transferred to Lehigh University to be closer to home while she recovered and went on to earn her master’s degree in social relations at Lehigh and then her doctorate in sociology at UMass Amherst, focusing her dissertation on sexual assault on college campuses. In 1996, she joined the faculty at Cabrini College in Radnor, Pennsylvania, where she was granted tenure and where she later served as codirector of the Wolfington Center for Service and Leadership. Throughout her career, Lohmann’s work has included deep immersion in the issues that frame student affairs, including residential life, athletics, safety and wellness, inclusion and diversity, Title IX, accessibility, community involvement and service learning, the judicial process, and counseling and advising, among others. "Lohmann's broad and deep experience and insights, her integrity, ability to listen and willingness to act, and her combination of candor and care will make her a superb advocate for students, a dedicated leader and mentor in student affairs, a valuable partner for the faculty, and a strong colleague and advisor to me and the senior staff," Rose said. "I am thrilled to be named the next dean for student affairs and look forward to the adventures that lie ahead," Lohmann said.